Hi guys! Apologies for not being able to post last week – I had a very difficult few days and unfortunately couldn’t bring myself to find the energy to use my laptop on Monday. 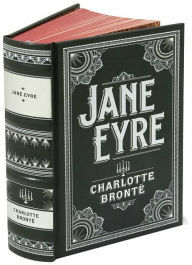 Anyway, today’s quote comes from the only classic I’ve read (*hides in shame*), Jane Eyre. I read this book when I was 11 and have reread it twice since. I’ve also now watched two movie adaptations (more about that later! ), and I adore the story and the characters more than ever right now. So…here comes a beautiful quote that means a lot to me. I sometimes have a queer feeling with regard to you – especially when you are near me, as now: it is as if I had a string somewhere under my left ribs, tightly and inextricably knotted to a similar string situated in the corresponding quarter of your little frame. And if that boisterous channel, and two hundred miles or so of land come broad between us, I am afraid that cord of communion will be snapt; and then I’ve a nervous notion I should take to bleeding inwardly. Maybe you’re wondering why I’ve chosen this week to present one of my all-time favourites? Well, I’ve just watched the 2011 movie adaptation of this lovely novel, and it’s brought back all of my adoration for it. I’ll be posting a book to movie adaptation review tomorrow! That is such a beautiful quote! One of my all time favorites! I am very impressed you tackled it at age 11!